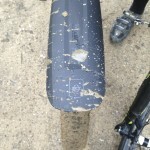 Into every MTB life, a little mud must happen, at least in most parts of the country. The thing is, in So Cal we have had almost no rain for quite some time. I had forgotten what a mud puddle looked like. But this year has been different. It has been wetter so far than any year in recent memory. We got puddles. 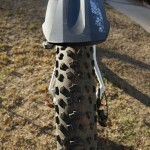 Now we can ride just around them or wait a while, then ride when they have dried up, but we got ’em. And, to not be myopic about riding conditions, I realize that there are a LOT of places where people are forced to either ride when it is wet and sloppy or not ride at all. 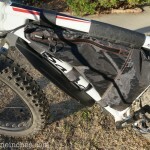 So having a way to have some mud protection that would fit most any MTB, gravel bike, or Fat Bike is very appealing. 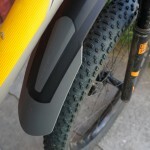 Better still would be a mud guard that is easily removable and generic enough to move between bikes. 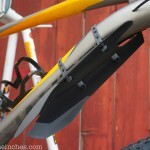 Now I am not talking about fenders for rain riding. 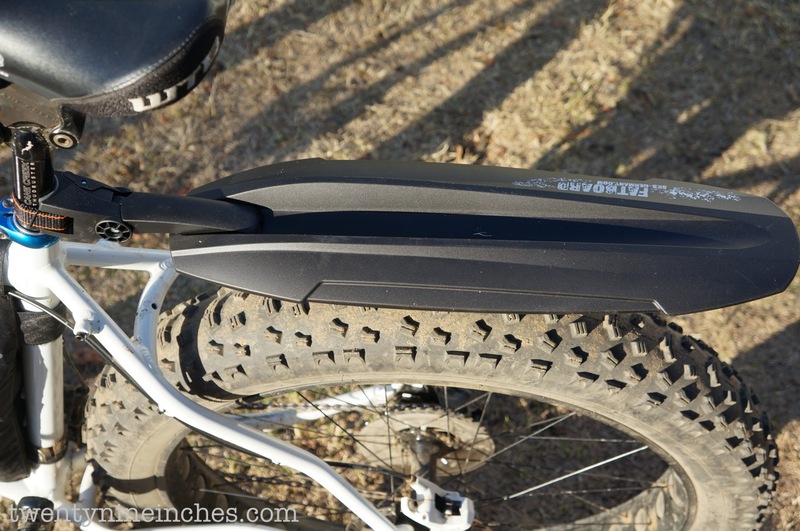 That is a bit of a different animal, and a full coverage fender that hugs the tire is better for that and typically would be used on something other than an MTB. 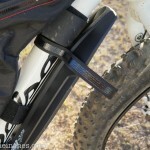 No, this is about keeping glop and goo off of you when in the mucky muck while trail riding. 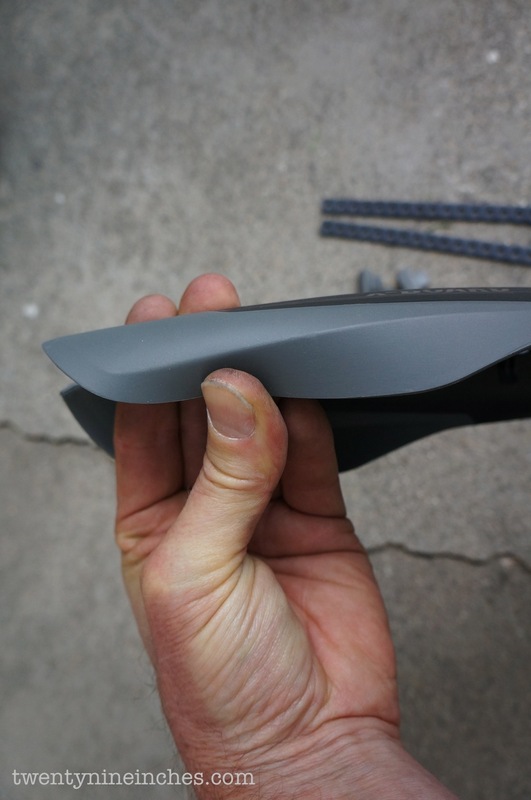 Enter SKS, a German company that makes more fenders and mud guards than one can shake a wet, muddy, stick at. 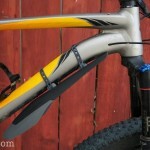 We have a selection of mud guards that would work well for most any MTB, including the new Genre of Plus bikes, and even for Fat Bikes. 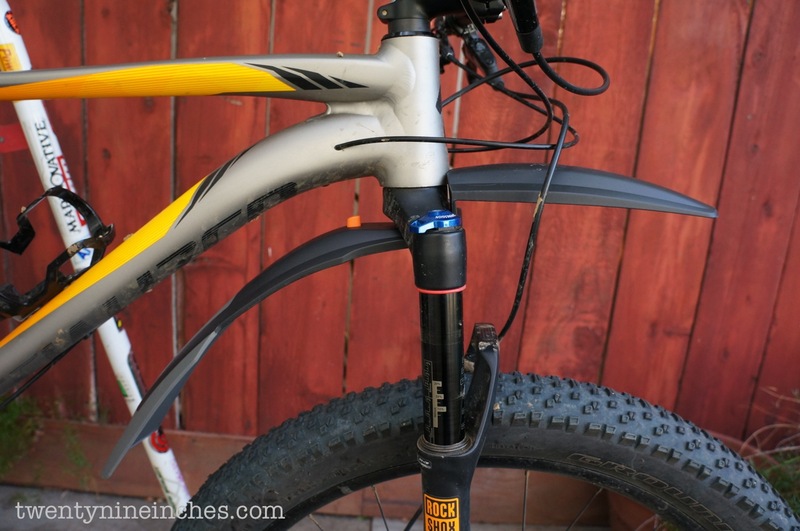 What I most wanted to prevent is the ‘skunk stripe’ that results from the rear tire sending glop onto my backside, and even OVER my head where I then run into it. 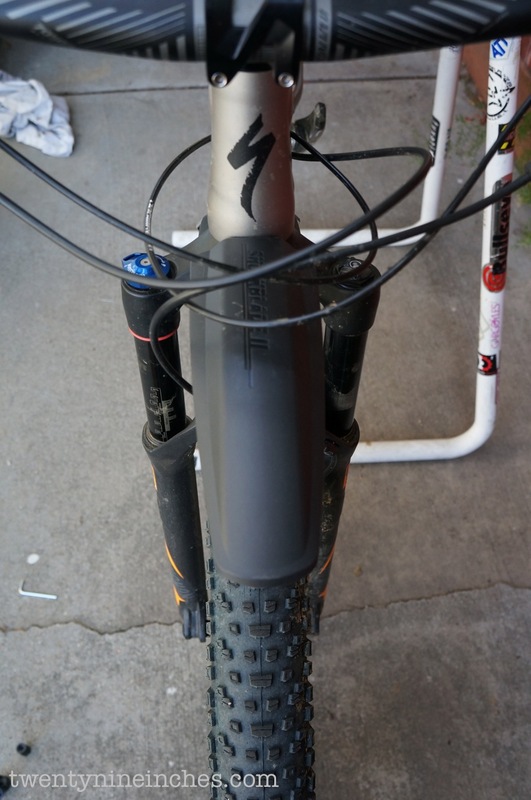 After that, maybe a bit of front protection to keep the front tire from tossing little mud and sand missiles into my typically open mouth. 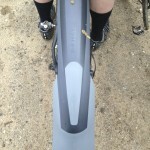 After one very heavy rain, JeffJ and I grabbed a couple of the rear mud guards and headed out on the Plus bikes; he on his Stache 29+ and I on the test Fuse. 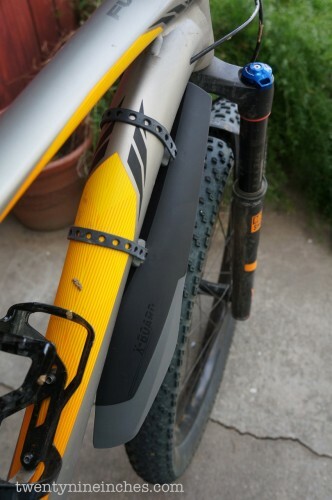 We had intended to test these products in a sort of pecking order: rear guards only, then adding a downtube mounted splash guard, then finally a front fork mounted mud guard too. 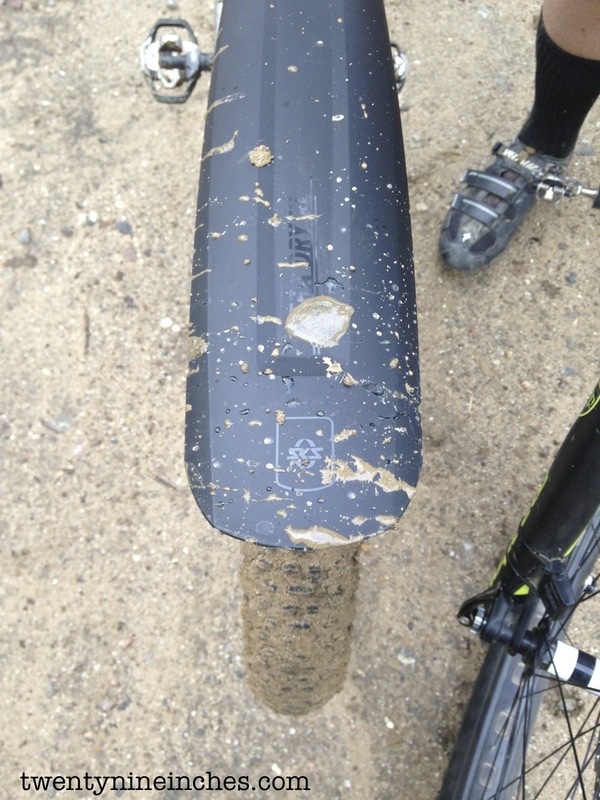 But mother nature gave us a big break in the rain, so we only have ridden in the rear mud guards. However, I think we can draw from that experience and talk about what we have with a good amount of confidence. 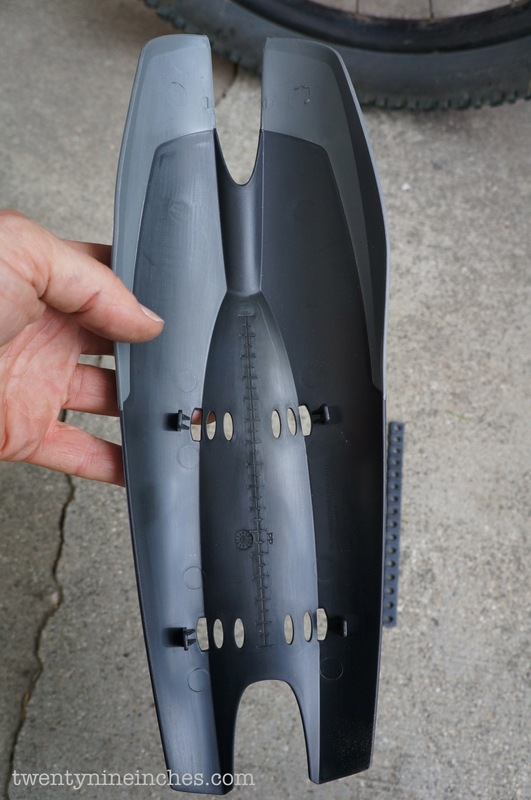 The mud guards are made from rubbery plastic, more rubbery in the grey parts and stiffer in the black parts. 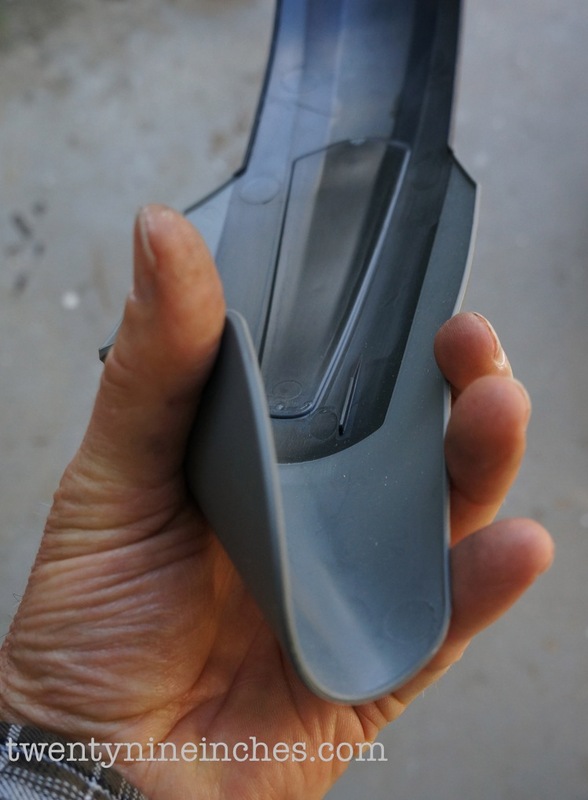 Now I am sure SKS has some fancy name for the molded sections, but we would just say ‘plastic’. 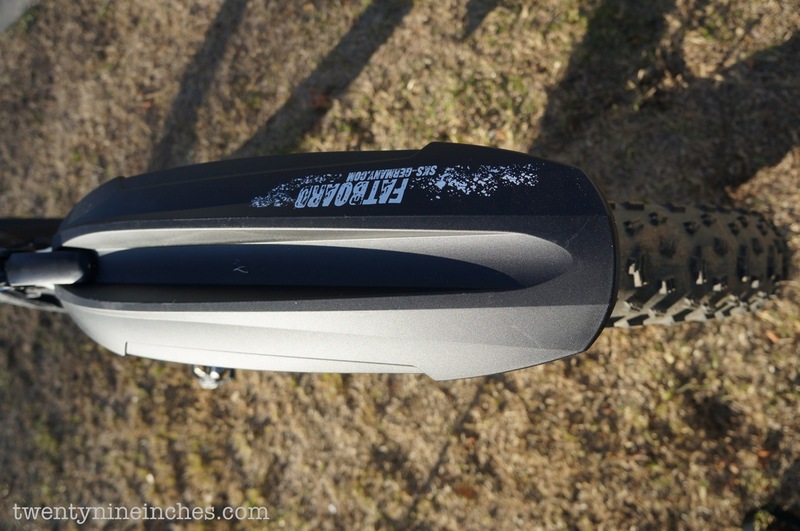 However they have a very rugged feel to them…stiff enough to keep their shape and place on the bike, yet flexible enough to not be fazed by a crash, etc. They do not feel fragile in the least. 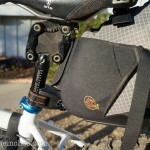 The clamps are very simple, being a strap attached to a cam-over buckle for tension and are tool free to adjust. 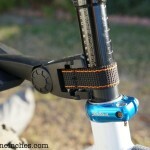 It is adjustable enough to work with any size post or seat tube, are simple to use and easy to attach and detach. 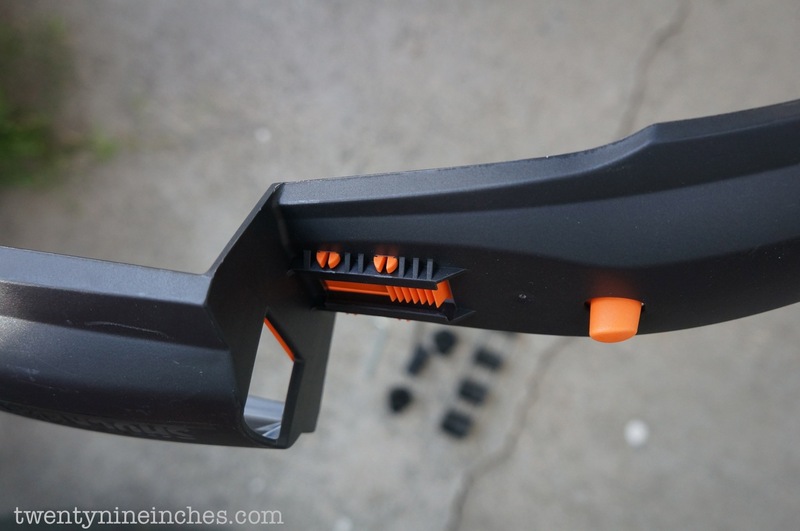 The angle of the fender is adjustable as well but just requires a simple allen wrench any multi tool would have. JeffJ and I went in search of mud puddles and generally wet trails. 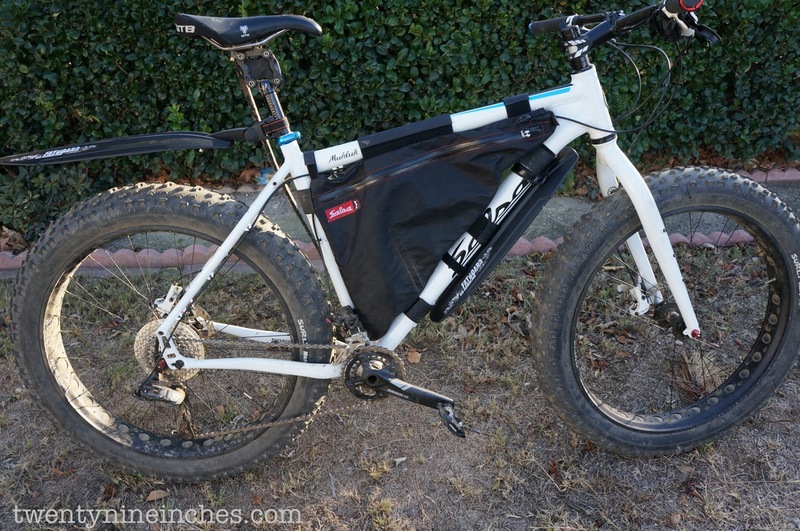 Our area is very much clay soil, so we were on sandy dirt roads for the most part, allowing us to survive the occasional clay soil section, but we dove into a sandy and wet singletrack as well to get some bouncing around done, testing how the fenders stayed in place. After a couple of hours of riding, we had some very good impressions. 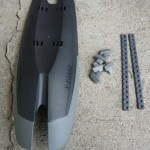 JeffJ was using the X Blade II 28+29 and I had the Xtra Dry XL mud guard. 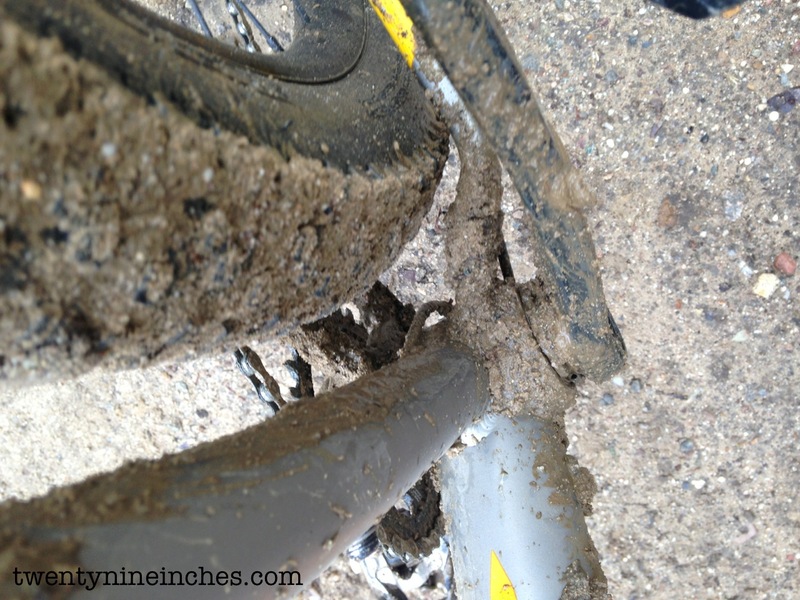 Both covered the Plus sized 3.0″ tires well enough to keep our backsides 99% free of any flung up mud and wetness. It really was pretty awesome in that regard. They stayed put well, although JeffJ’s version did tend to creep to the right a bit. 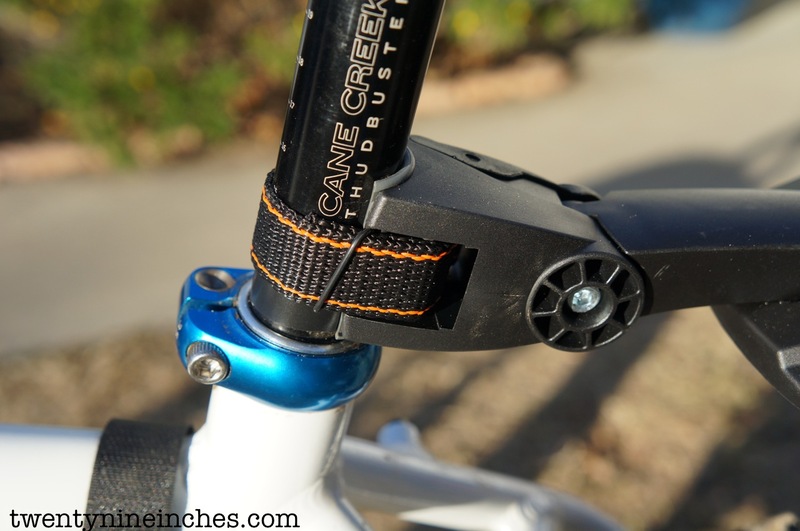 Oddly enough, when I tried it later on another bike I was riding, it did not do that, so I think we were just not getting it cinched right in our hurry to ride. 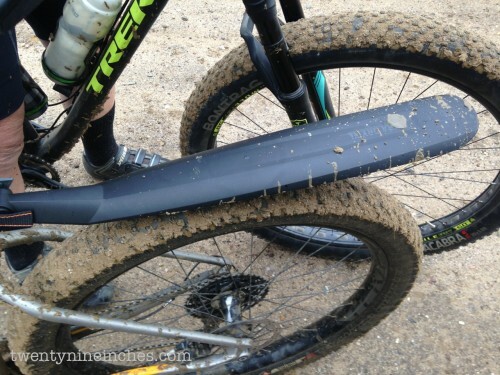 The underside of the mud guards were clumped with sticky mud yet they did not sag or waggle. There really was nothing to add…they just worked, weighed next to nothing, and could be removed in about 5 seconds flat. Sweet. 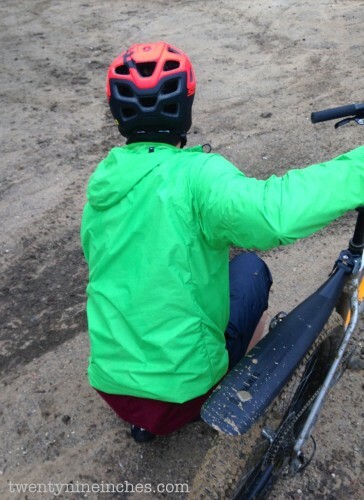 There is, if you look reeeeealy carefully, one tiny fleck of mud on my back. 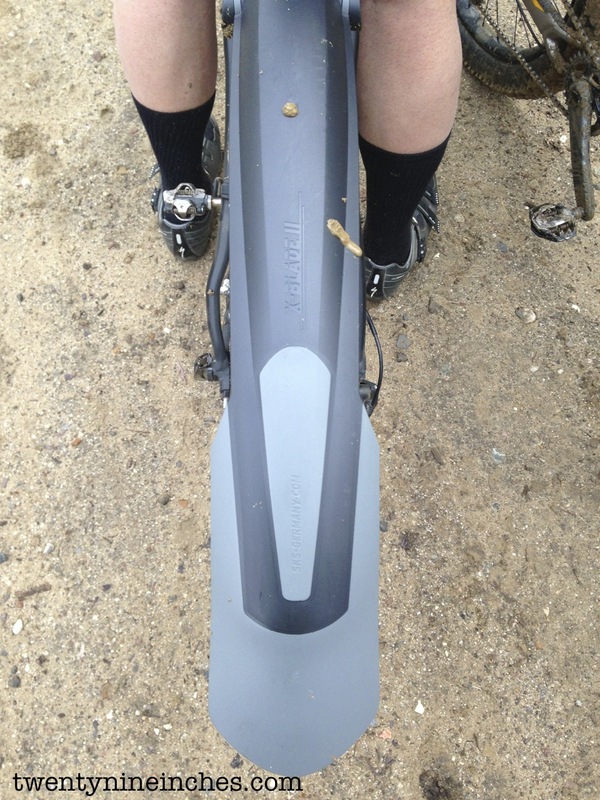 Without that SKS mudguard I would have been painted brown. 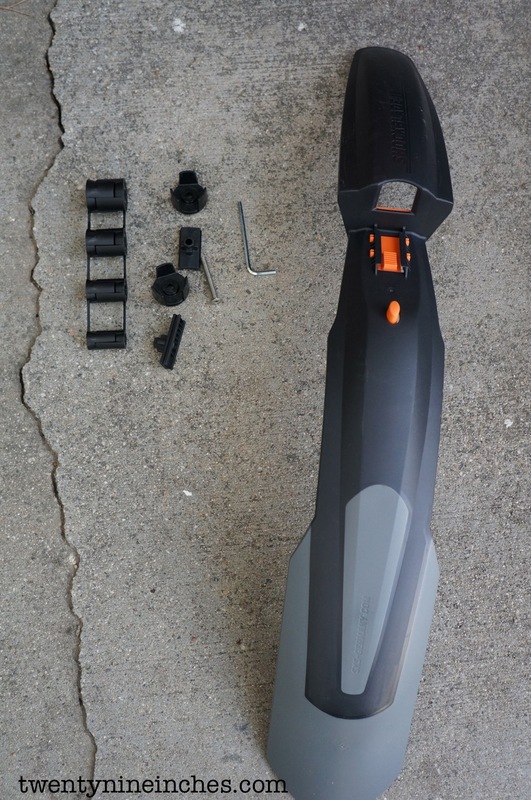 If we wanted to take it to the next step, we would add the X Board to the downtube. 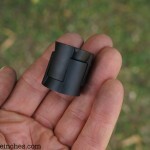 That piece would work for nearly any bike I can think of unless the downtube was very oddly curved or shaped. 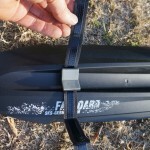 There are small rubber bumpers that fit into a choice of slots and cradle the downtube, being held into place on the bike by a rubber strap. It seems solid and simple. I am not sure where the best location along the tube is for max effectiveness, but it would be easy to put it where you need it. 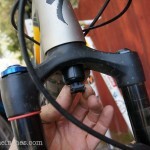 The top is ‘forked’ so it could nest into the head tube, although that did not really need to happen on the Fuse. 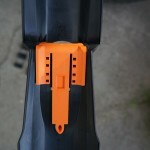 I would say that the diameter of the Fuse downtube, while not the limit of the rubber straps, is getting there. 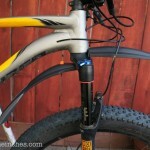 However, I doubt that many bike’s downtubes are that much bigger then this one. 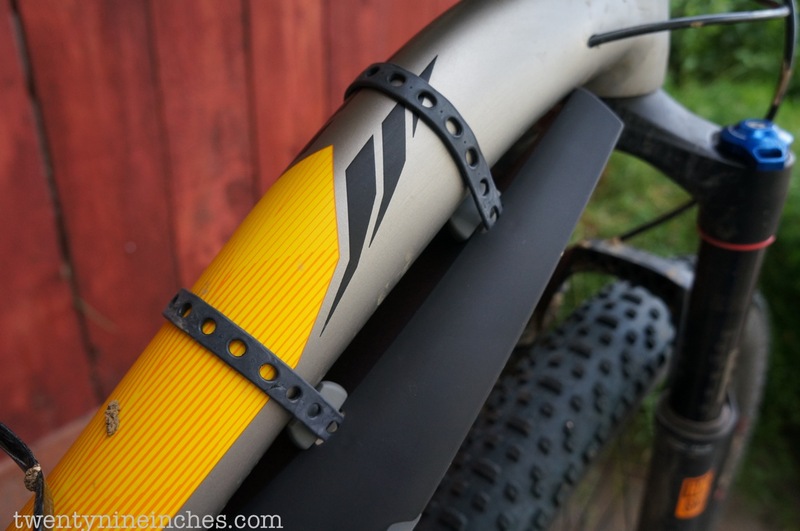 I would think that you could work around any cabling that would be running down the bottom of the downtube as long as it is centered on the tube. 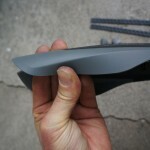 The next step up is the full front fender approach. 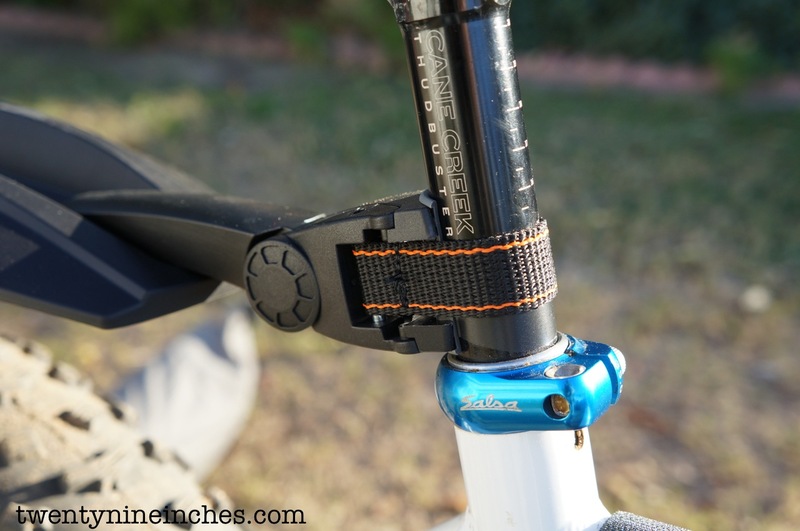 The mounting is rather trick, using a selection of expanding plastic plugs to affix the mounting ‘bracket’ to the bottom, inside of the fork steerer tube. 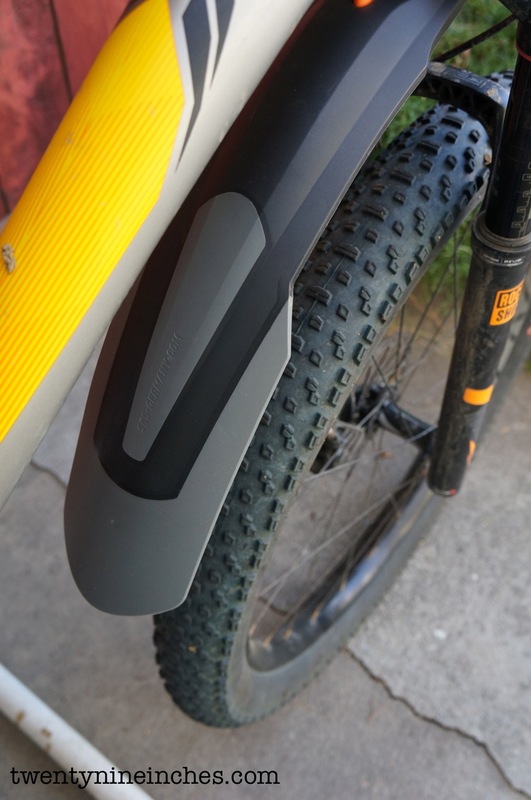 Once on there it seems quite solid and, like the rear mud guards, weighs practically nothing and is resilient. 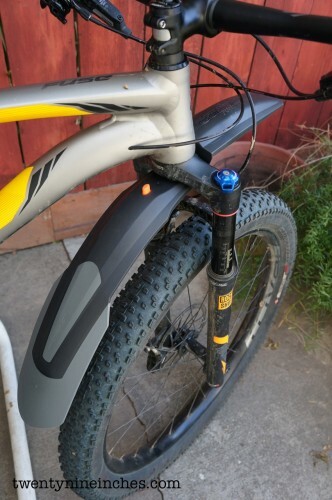 The coverage looks quite good and measuring the fork’s travel limits at the brake arch, I don’t see any chance of interference between the two. 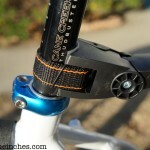 The mounting ‘bracket’ stays up in the steerer and it is pretty near invisible. 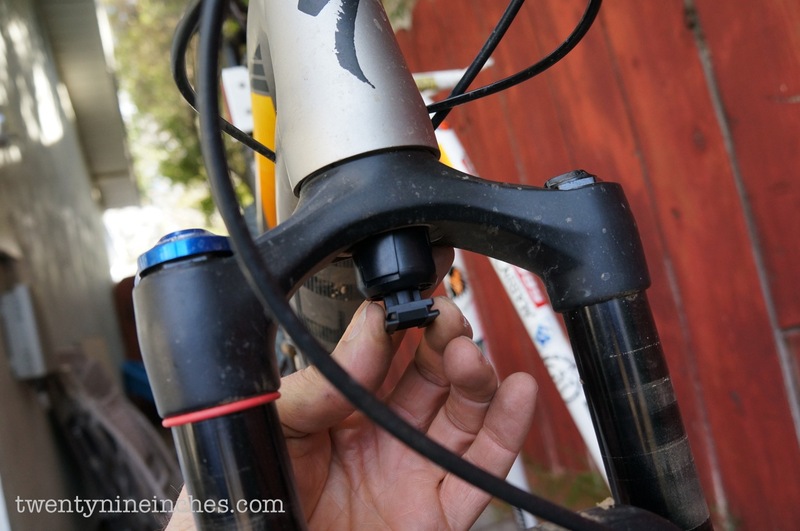 The fender is removed very simply with a slide into place set up quite like most bar mounted lights use…press a button and slide it on or off. 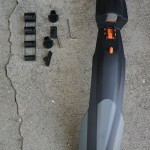 The kit comes with several sized plastic expanding plugs for all types of forks. 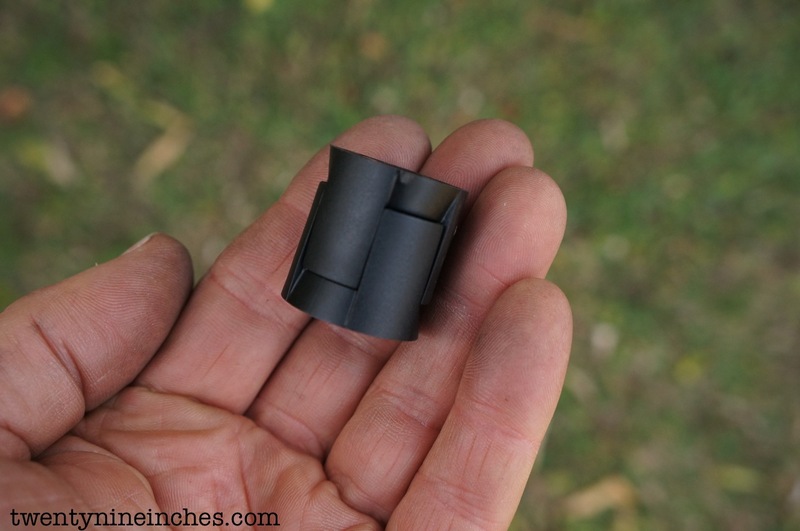 I will say that in order to get it snug into the bottom of the tapered steerer, I had to really compress and distort the plastic plugs ‘fingers’. Is this bad? Dunno, but one would think this was taken into consideration when it was designed. 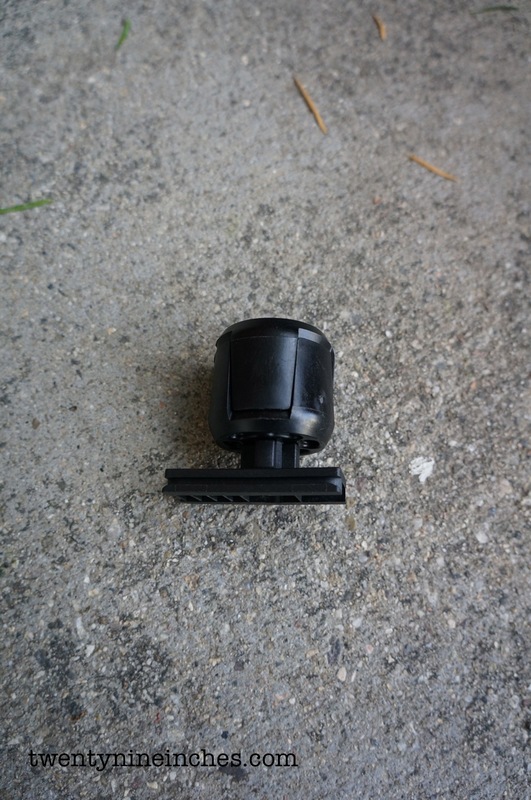 Would a rubber plug be better? Perhaps so. It looks pretty Moto on there and OK to my eye, not offensive. 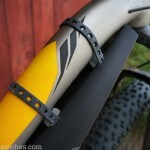 Now if there is a bike that most often will see sloppy conditions, it is likely to be a Fat Bike. 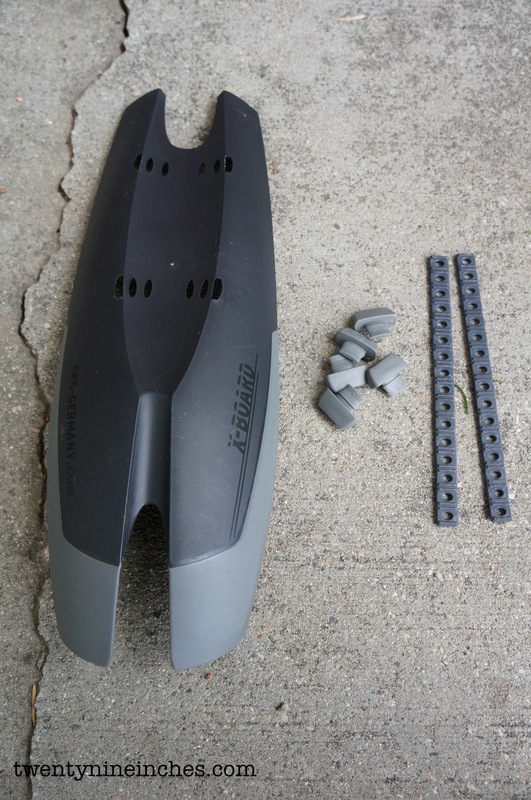 SKS has the answer to this in the Fat Board Set, a rear mudguard that attaches to the seat post, and a front part that attaches to the downtube, but is a bit larger than the X Board. 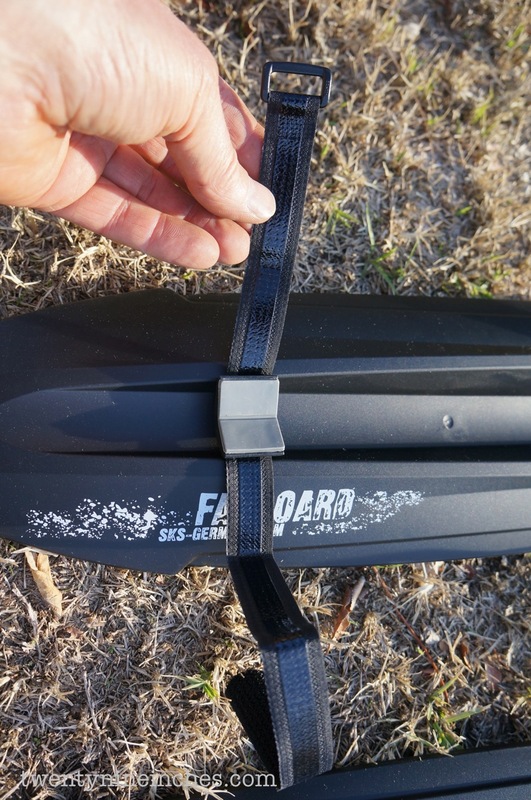 There are two straps that hold the front Fat Board in place and they are backed by ‘V’ shaped rubber bits that hold it very securely. 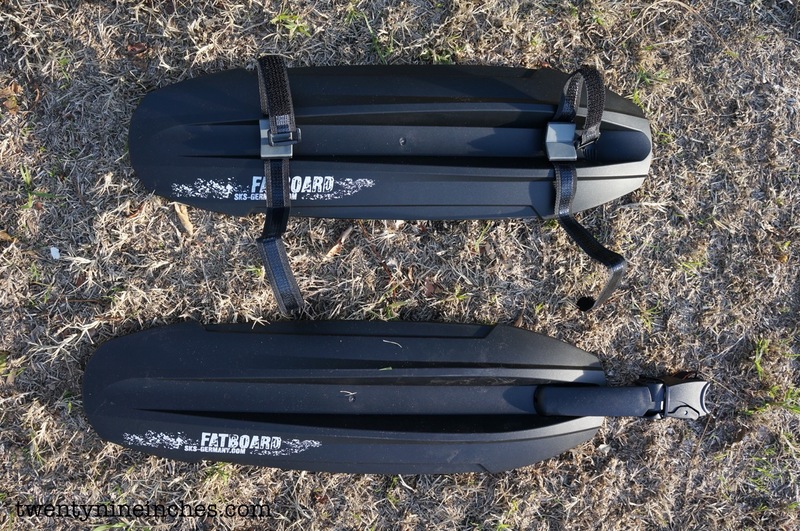 There is a potential for interference between the straps on the front Fat Board and a frame bag or W/B braze-on bits, but it would be simple to drill new holes in the Fat Board and move the mounting straps to alleviate any space conflicts. 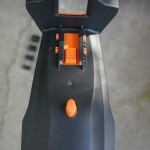 As well the straps are quite long so trimming would be in order. Eezy peezy. 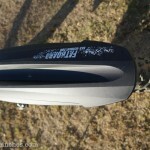 The rear Board is wide at 5″ across and covers my 3.8″ Nate completely. 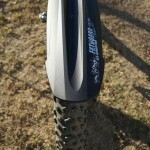 I would imagine this would be good with the new crop of uber-wide Fat Bike shoes as well. 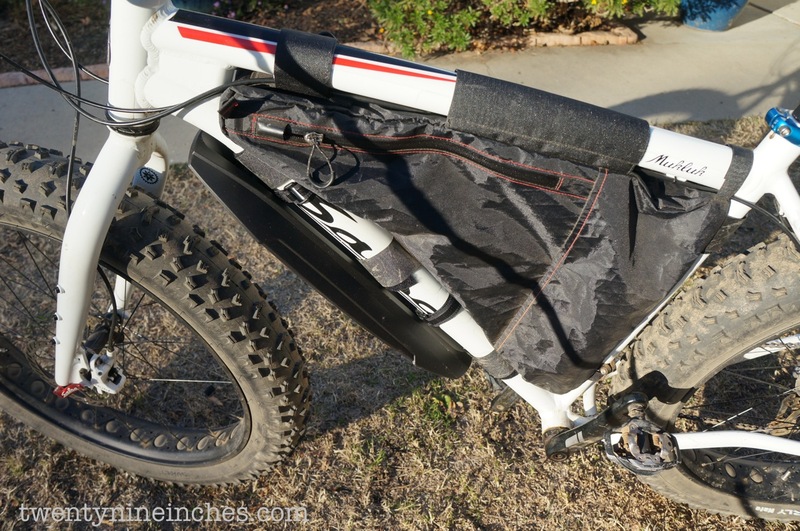 One thing I did note is that if you are bikepacking and are using a large seat bag like the one shown here, they do not play well together. 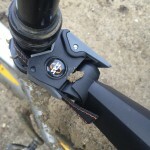 Even if I did not have the Thudbuster seatpost, it still would not work. 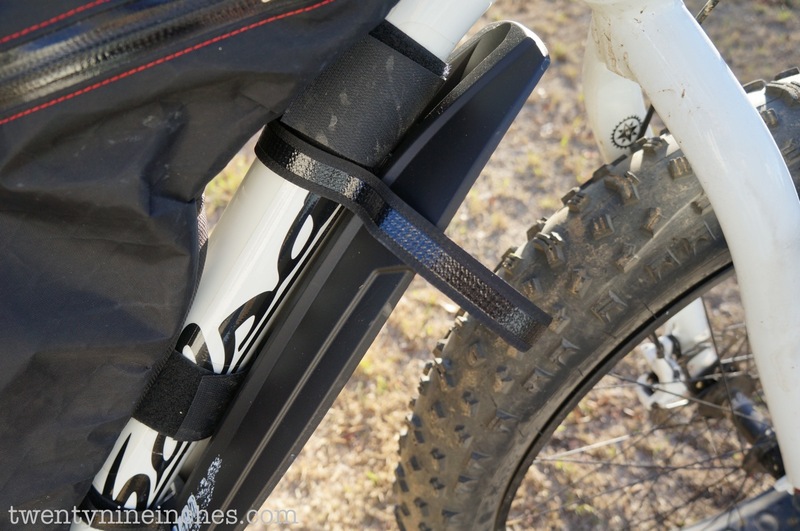 However, keep in mind that if you are running a bikepacking bag like that on the rear of the bike, it IS your mudguard, for good or for bad, so it is not a big deal all in all. 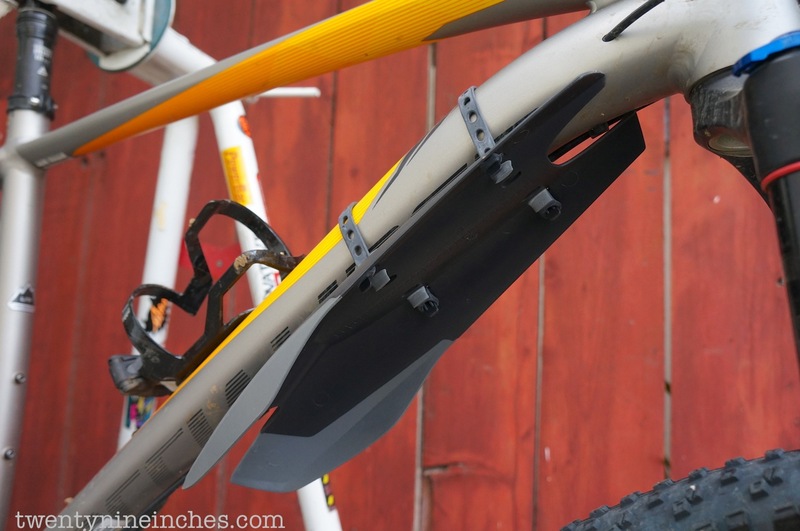 Honestly, for the minimal price and high function, I cannot imagine why someone would not want at least a rear mudguard hanging around like the X Blade II, etc, from SKS. 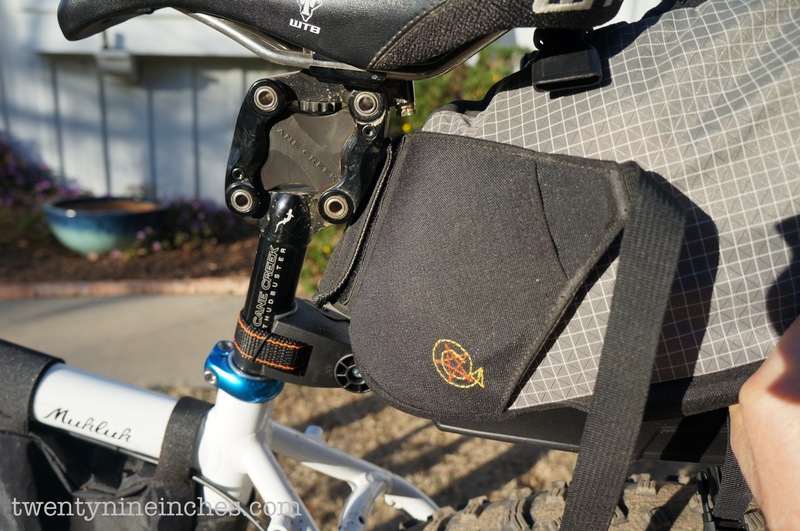 They have others in narrow sizes for gravel bikes and even road apps, so they have you covered. Literally. 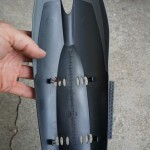 And that protection allows you to have more fun rather than just taking a mud bath. 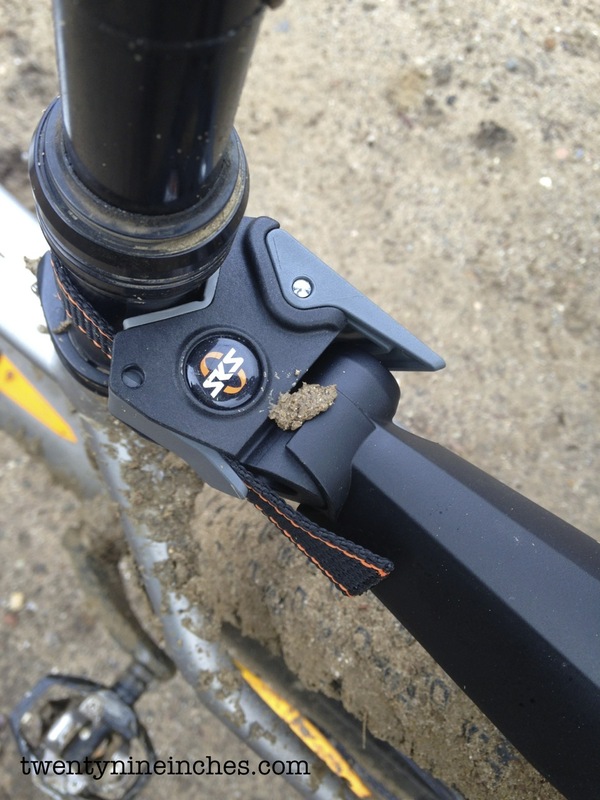 Note that in many areas of the country, riding on muddy trails just leaves a mess and can harm the surface of the trail, etc. Use common sense about that. 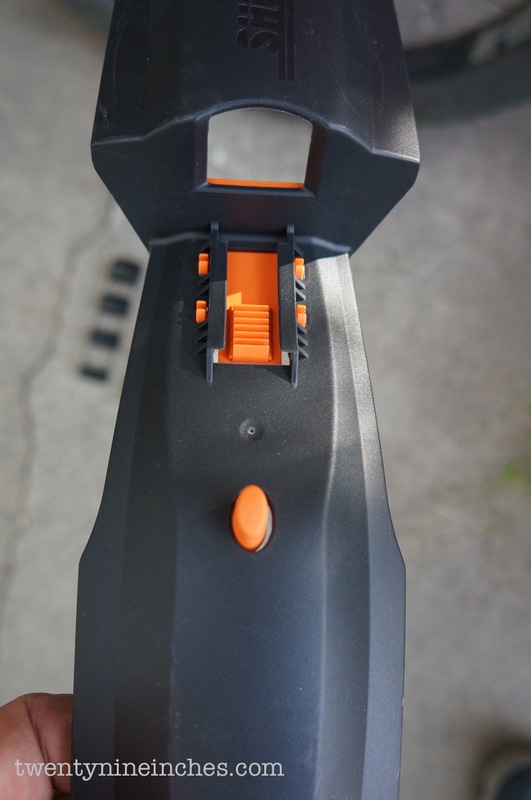 No small, furry animals or IMBA representatives were harmed in the testing of these products, etc. 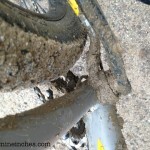 For us, riding in the clay soil when it is really wet is just about impossible anyway and can be very expensive, so that situation solves itself. 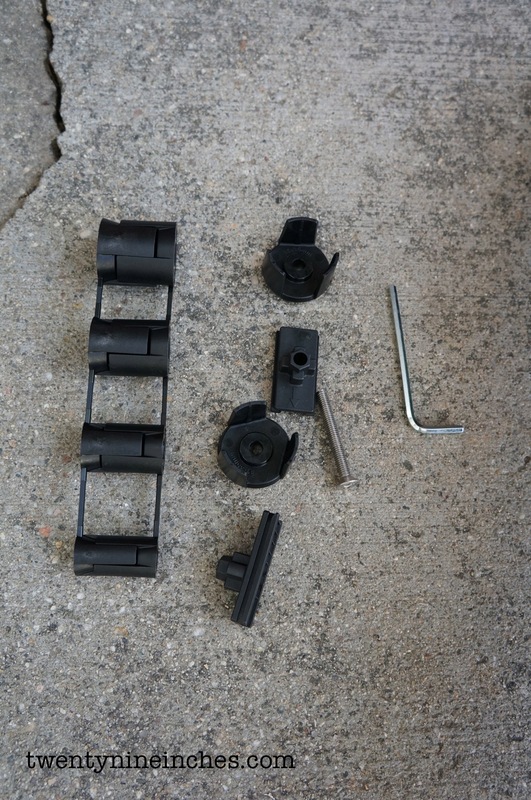 Note: SKS provided these samples at no charge to Twenty Nine Inches for test and review. We are not being paid, nor bribed for these reviews and we will strive to give our honest thoughts and opinions throughout. 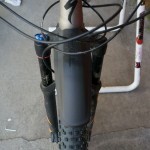 I wouldn’t say any mtb. 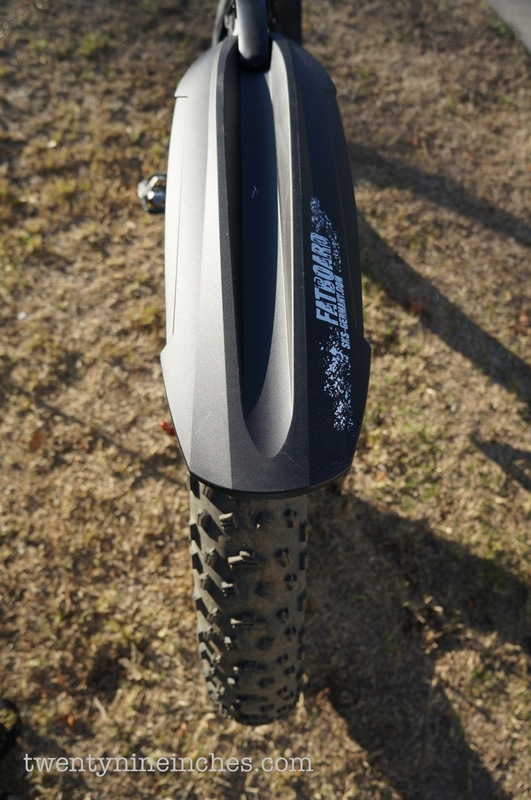 Anything with a decent amount of rear suspension is unworkable with these styles. 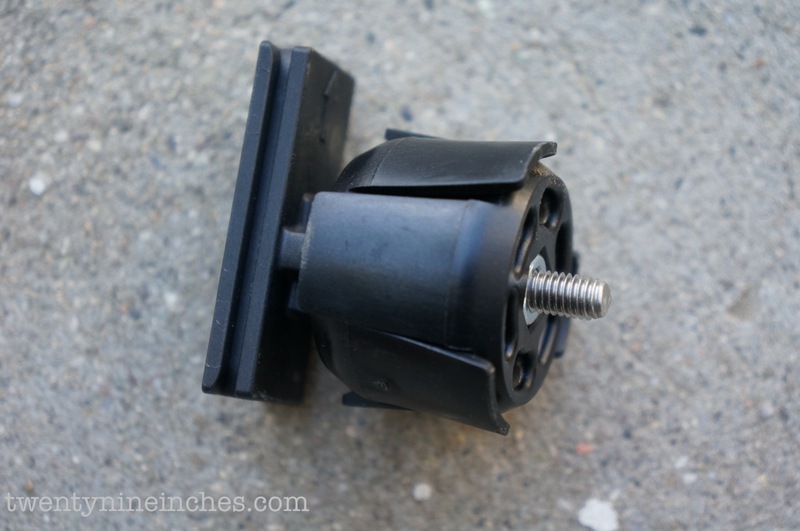 Either you mount it high and are unable to drop your body back behind the seat, or you mount it low and face it getting torn up and smashed by the wheel, and are unable to drop the seat. 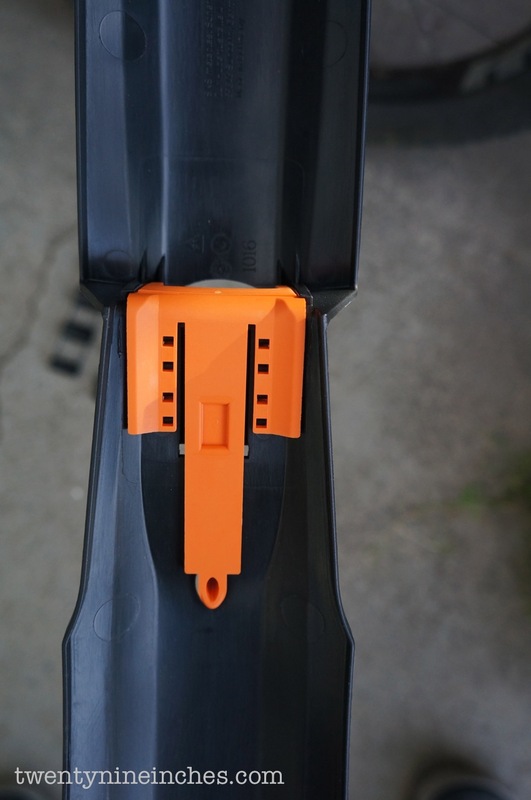 I would like to see more swingarm mounted models. 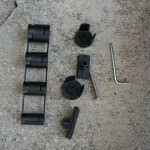 Although that is difficult to make as a generic product. 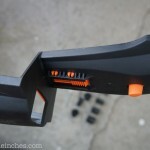 I have a banshee rune, and there’s only one on the market that would work adequately, and that requires modding. 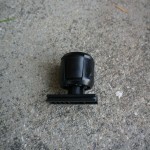 Very tempted to run a full oldskool 3/5 bit for a larger wheel size. Avoiding metal for weight reasons obviously. @Anonymous…yes, you make good points. And actually that did not occur to me for some reason. 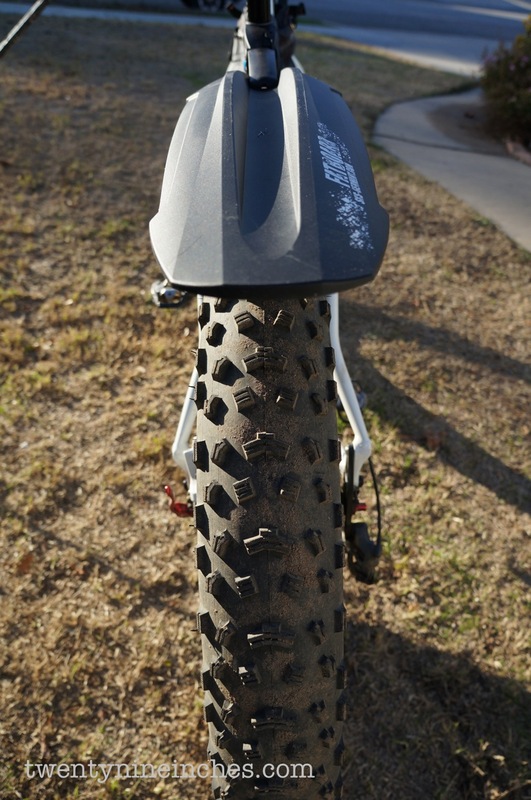 Been riding too many hardtails lately, I guess. I think I would mount it high and lose the ability to get too far behind the saddle. I need to revisit this and see how that would work. Thanks for the prompting. 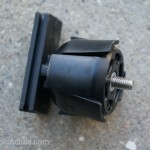 For Anon, check out the Mudhugger. 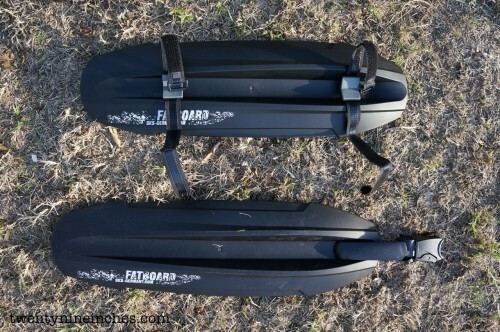 I wonder how the Fatboards would work on a regular MTB, especially on the front. 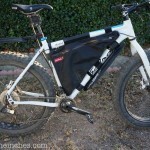 Do you reckon it would be too wide and interfere with pedalling due to the narrower Q-factor? 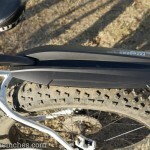 Just thinking of maximizing the width for better mud protection on a “non-fat” bike.